This is another low budget smartphone from Verykool with some nice features. 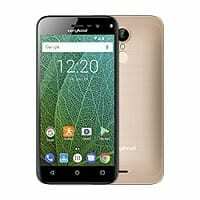 The Verykool S5031 Bolt Turbo has rudimentary android features with some perks to it. Despite being an entry level smartphone, it has some impressive additions. The smartphone is suitable for persons on a budget that seeks a low budget device with little impressive features in its spec sheet. The Verykool S5031 Bolt Turbo is a portable smartphone with a plastic build. It is also quite compact and features offscreen navigation touch buttons with a rear panel featuring the camera at top-central position below which there is the flash and fingerprint sensor. There is not much of a display real estate on the Verykool S5031 Bolt Turbo smartphone. The 5.0-inch sized screen has a resolution of 854 X 480 pixels with a pixel density of 196 ppi. This is certainly not as colourful as those featured in more premium smartphones but it is enough for day by day basic use. Supplying power on the Verykool S5031 Bolt Turbo smartphone is a not too large battery which is a kind of normality in the entry level category. It comes with a 2, 000 mAh Li-ion battery and does not have a quick charge feature. Moving on to the cat featured on the device. You have an impressive camera at least for an entry level smartphone. The Verykool S5031 Bolt Turbo ships with an 8MP rear camera with flash and an 8MP front camera also with soft selfie flash. 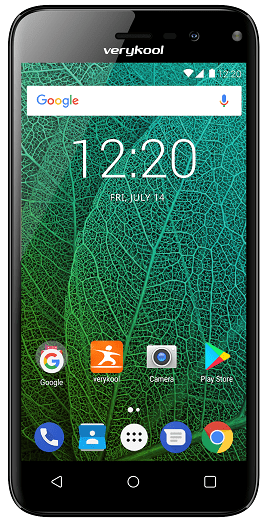 Looking at the price tag of the Verykool S5031 Bolt Turbo smartphone it is only normal that there is an entry level hardware on it. In light of this, you have got a MediaTek MT6580A chipset running at 1.3GHz and a Mali-400 MP2 GPU same as most low budget smartphones out there. On the other hand, the Verykool S5031 Bolt Turbo comes with an impressive 2GB RAM and a 16GB internal storage expandable up to 32GB with a MicroSD card. It also offers Android 7.0 Nougat from the box. The Verykool S5031 Bolt Turbo is available for sale in several online stores for about 39, 000 Naira depending on your location and the deal.